19 scope crosshair textures made for the S.T.A.L.K.E.R. games. Use it as resource for your mod. Since there are tons of mods, addons and game versions out there its NOT possible to provide an addon that fits them all. These crosshair textures should work in every game that uses a simple texture as scope crosshair. The following "installation guide" is just an exsample how it COULD work. If you dont know what you are doing digging in the gamefiles LEAVE it alone. BUT be encouraged to learn it. I'm pretty sure I've had some sort of fungus appearing on the inside rubber lining of my car window. 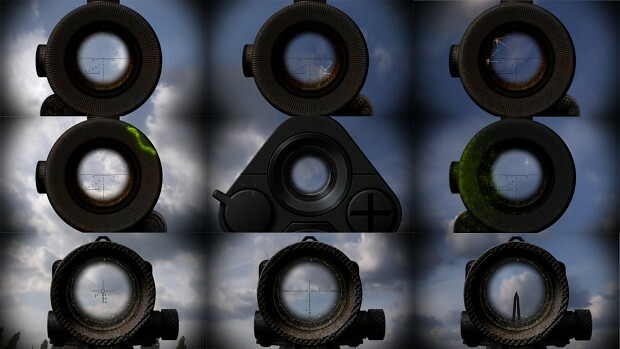 you forgot vintorez scope.how could you? pls help how to install this mod . install instructions are in the description. contact me if thats not enough. thank you! its always nice to get positive feedback!